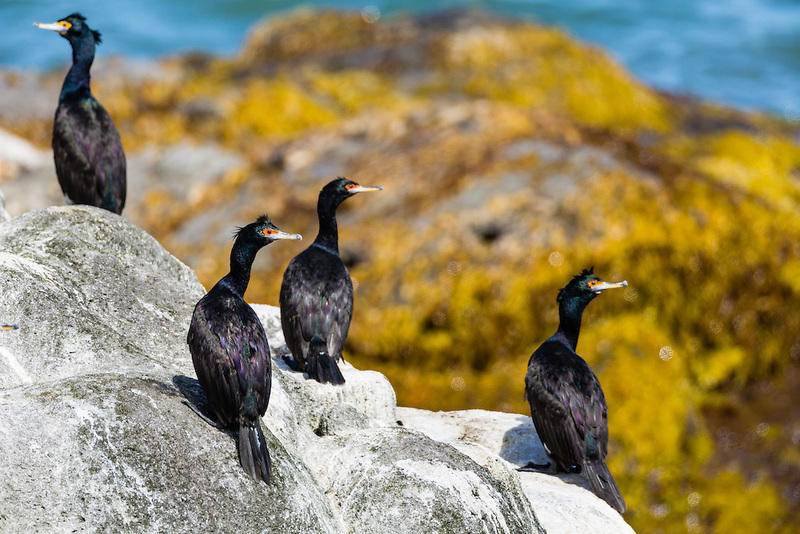 Red-faced Cormarants (Phalacrocorax urile) perched on boulder along the Bering Sea on St. Paul Island in Southwest Alaska. Summer. Afternoon.